It’s not the cherries everywhere in bloom. It’s not the way they put folks on the Moon. The United States is a welcoming place. This I knew from previous visits to the New World. Apart from the time they served me something called ‘Biscuits and Gravy’ for breakfast, which turned out to contain neither biscuits nor gravy, I’ve always found Americans to be perfect hosts. What I wasn’t expecting was that, on our first trip to Washington, me and Livy would get to step into the Oval Office. The actual one. With the desk and the rug and the president and everything. Well, we had to wait until Barack Obama had finished work for the day until we could nose about his place of work, but fair enough. I don’t think I’ve been as excited about being somewhere in my life. We were asked not to take photos in the West Wing so I don’t have anything from there to show, but at the time that just made me more determined to get every photon I could into my eyeballs as we pottered around to gaze at the Navy Mess, the Cabinet Room, the Roosevelt Room. And then that room with no corners. The Marine stationed at the door kindly offered that we take one step inside, and I knew better than to ask for a second. From there I tried my best to imprint the image on my retinas — the busts of Martin Luther King and Lincoln, the two pastoral Edward Hoppers behind that hunk of wood from the HMS Resolute saved from the Arctic ice. 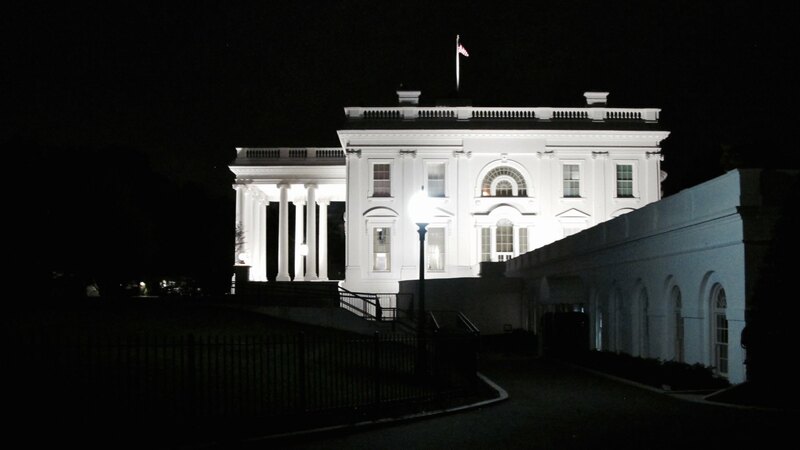 ↑ The White House seen from outside the West Wing. We were allowed to take photos in the Press Briefing Room (obviously I pretended I was C.J. Cregg) and outside the building, so here’s a view of the Residence and North Portico from outside the West Colonnade. During our time in what must be eighteen of the highest-security acres on the planet, we were also invited to walk around the Eisenhower Executive Office Building which sits next door and houses most of the administration staff in its 500-odd offices. 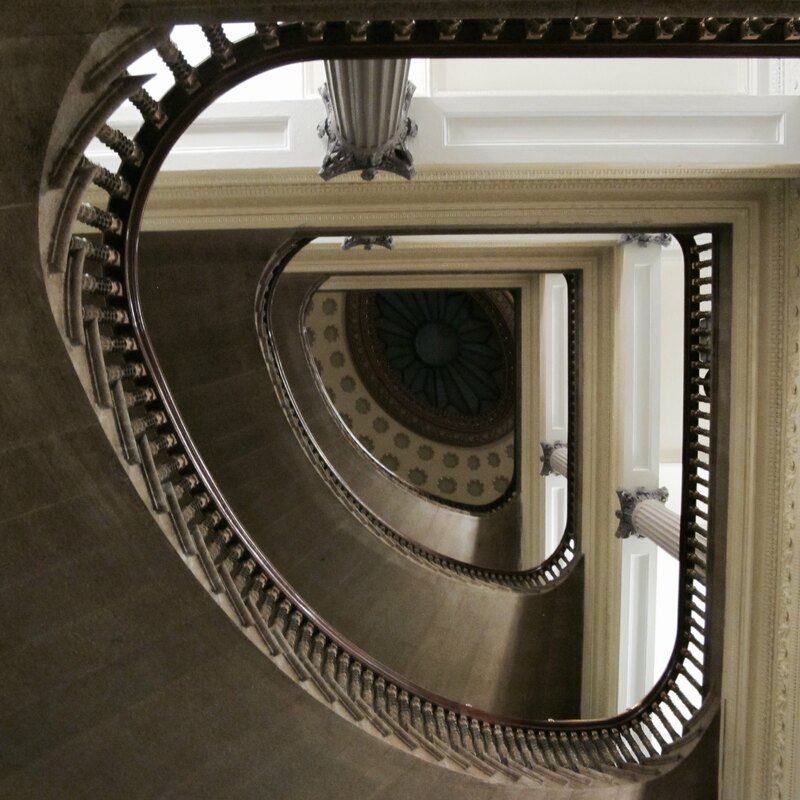 ↑ Inside the Eisenhower Executive Office Building. 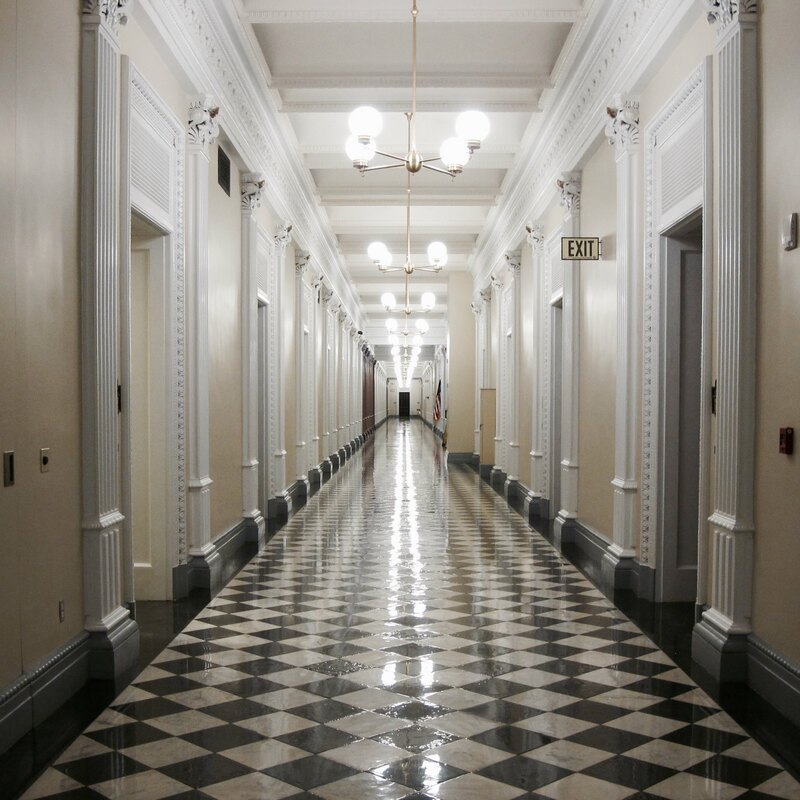 The corridors and staircases of the Eisenhower building are superior to those of the West Wing, which have low ceilings and functional carpets. It’s hard to comprehend that the Eisenhower building was long unloved. Mark Twain declared it ‘the ugliest building in America.’ I guess he hadn’t seen Trump Tower. Having swerved a planned demolition in 1957 to save on maintenance costs, it’s now a National Historic Landmark, so should be safe. That's all I’ve got from the White House. If the people who made that possible happen to read this — thank you. 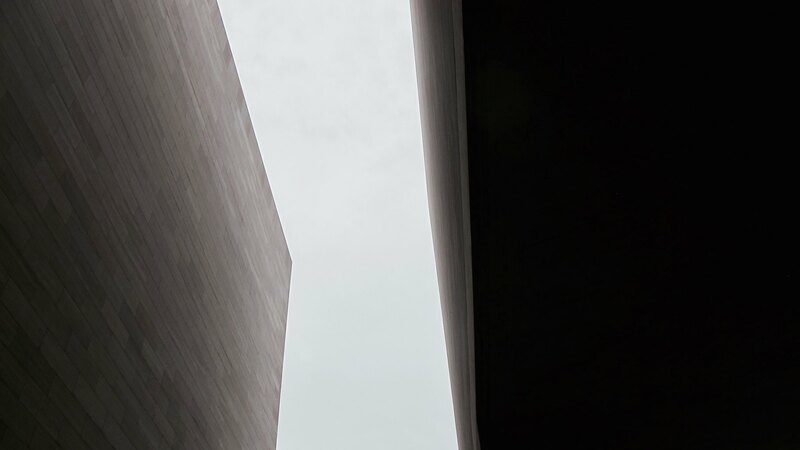 Of course we also popped into some of the amazing Smithsonian National Museums around the Mall: of American History, of Natural History, of the American Indian, of Air and Space, and the National Gallery of Art. There are too many wonderful exhibits to list, but I would say Charles Lindbergh’s Spirit of St. Louis, the Apollo 11 Command Module, the Star-Spangled Banner, Doug Engelbart’s first prototype mouse and Vincent van Gogh’s blue, blue self-portrait stand out as memorable things to stand close to. ↑ Pennsylvania Avenue from the Newseum. Both Livy and me particularly enjoyed the Newseum, which features exhibits on the history of journalism, the First Amendment and the technological history of media. A poignant memorial lists the many names of correspondents and photographers killed in the course of their reporting, updated every year. 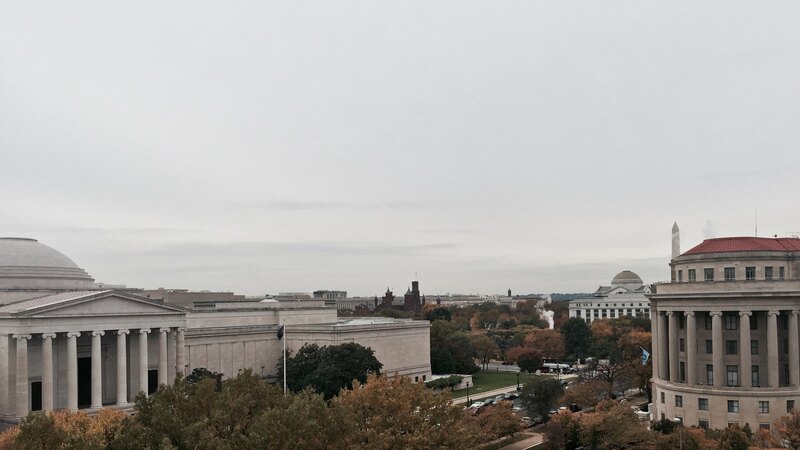 The balcony offers great views along Pennsylvania Avenue from the Capitol to the White House. 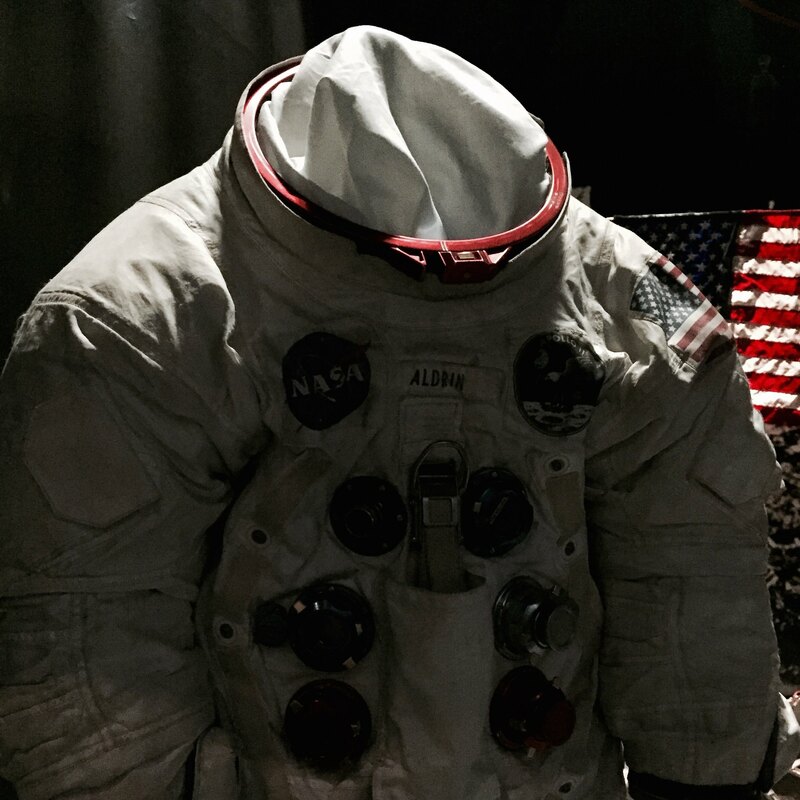 ↑ Buzz Aldrin’s Apollo 11 Spacesuit. We stayed with friends in the Bloomingdale neighbourhood to the north of the Capitol Building (which usefully marks the origin of the city’s grid system). 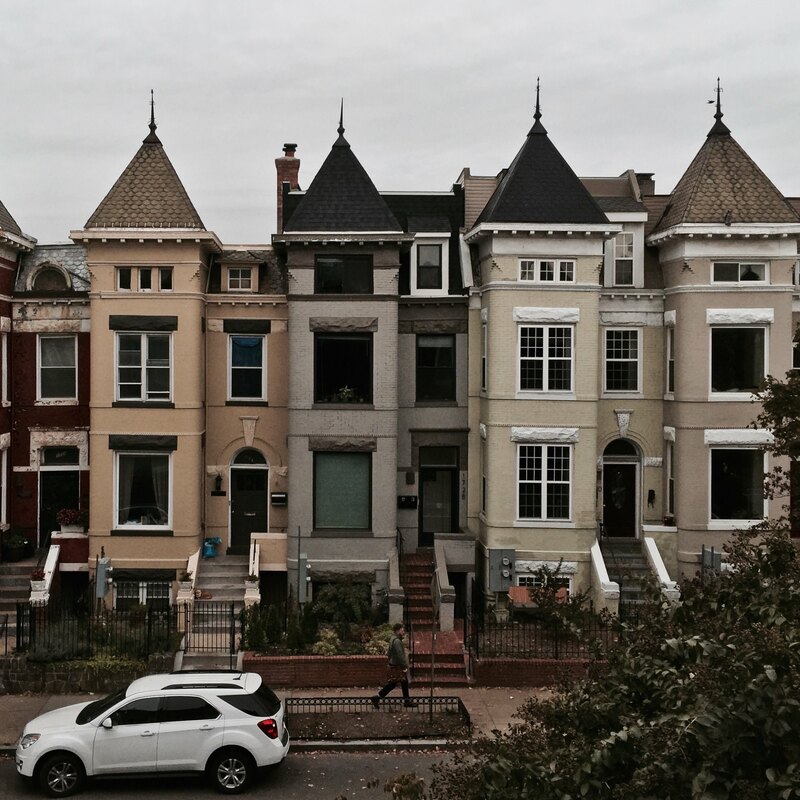 The street presents these beautiful Victorian-style rowhouses, which feature on the House of Cards intro if you look close. 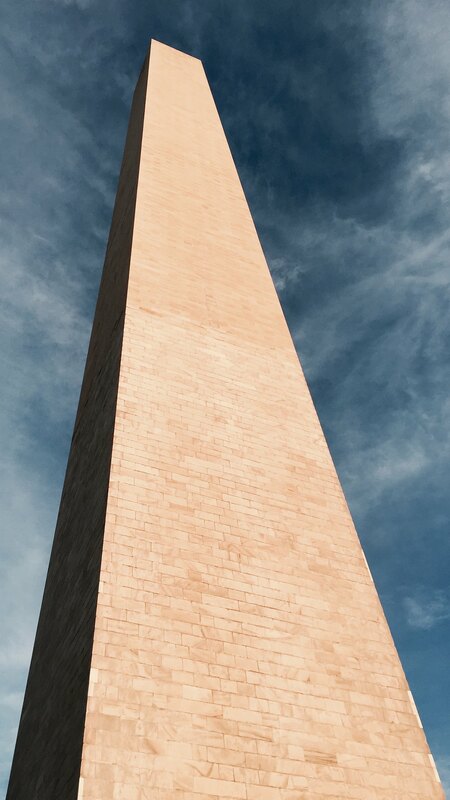 And that was the District of Columbia. From Union Station we took the Amtrak back north through Baltimore to New York.